There many concerns you might have if you need dentures. How will they look? Will they slip around in your mouth or fall out and embarrass you? You can receive natural-looking dentures that fit properly, and that won’t slip or make your mouth sore, from Dr. Miranda Lacy. An important part of providing quality removable dentures is the quality of the materials used. Quality teeth won’t stain or wear down, and they will look perfectly natural. A quality base will fit accurately and comfortably. The workmanship also needs to be done with precision and without shortcuts. You will get all of that from Dr. Lacy. Your dentures will be made of the highest quality materials and the most careful workmanship. In addition, they will be made with their custom artistic touch—to fit your personality and facial features. To ensure that you will love how they look, they will be first made in wax, and you will get a chance to try them on and approve them. Only after your approval will they be processed. 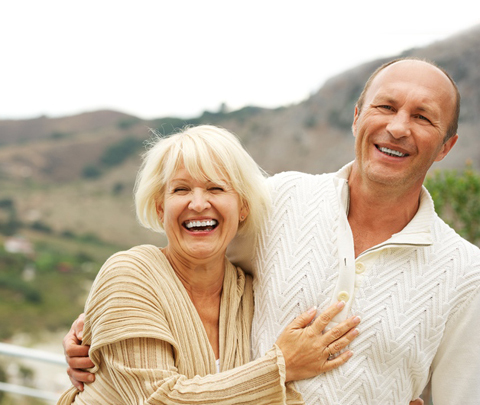 Your dentures can be secured with dental implants. The implants are surgically placed in your jawbone. When your dentures are secured to the implants, they will feel more like your natural teeth, and your chewing efficiency will improve dramatically. Implants also prevent jawbone shrinkage and facial collapse, which occur when all of your teeth are missing.